You have probably seen images of the Google Panda on the internet and not given it a second thought. This cartoon Panda looks like a harmless enough mascot for the behemoth of search engines. If you do a little more research into this benign looking Google pet, you will learn that he is much more important than his smiley face lets on. 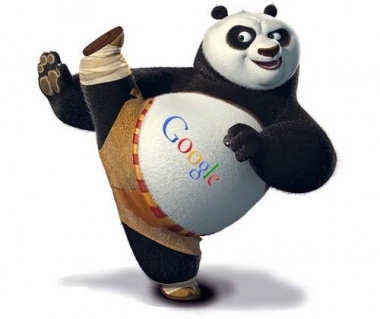 The Google Panda is a Content Cop for Google. His primary job is to crack down on content farms and junk content in order to keep the Google search engine as the number one resource for high quality content that is considered to the best value for Google search engine users. What this means for your website and online presence is to assure that you are delivering high quality content that is relevant and useful for readers. If you have content that is nothing more than keyword packed nonsense, you will be penalized by Google and you will get the opposite of what you had hoped to get with that content, which are more visitors to your website. Of course keywords are still important, but keeping them to a minimum, say 3% of your overall content, while making sure your content is well portrayed, relevant and valuable needs to be the focus instead of throwing any piece of junk content out there to get attention from the search engines. 1. Will readers trust it? 2. Does it have enough depth to be seen as a high quality content piece? 3. Are the keywords varied and under 4% of the overall word count? 4. Would I feel comfortable making purchases on my website if I did not know who ran it? Why or why not? 5. Is the content piece highly readable (Good grammar, etc…)? 6. Can I prove the facts presented in the content? 7. Is the content piece original and unique? 8. Does my overall online presence show that my business is a valuable resource/expert? The better you can answer those questions and make adjustments to existing or new content, the better your results will be. When Google Panda likes what is found on your site, you can expect to see your links listed more favorably at the Google search engine. The higher you rank, the more visitors you’ll get and this makes the time and effort to produce the best content well worth the effort.